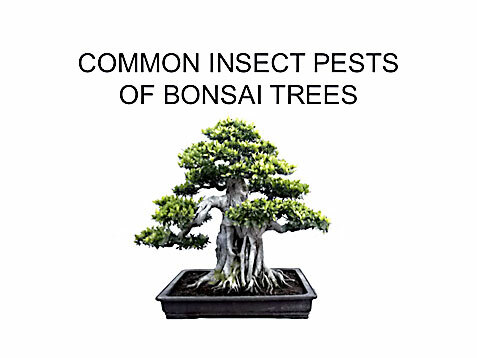 Recently, Erin Hickey spoke at one of our meetings on the prevention and treatment of bug infestations on bonsai. Erin has been a club member since her college days in the early 80’s at Buffalo State where she studied Plant Sciences. She has also been a past Bonsai Society Treasurer and President. Currently she is a teacher of 7th and 8th grade science at Buffalo Public School #18. Along with her education, Erin gained some of her practical knowledge of insect control while working for Chem-Lawn. The following is a reproduction of the slide presentation she gave at that meeting.